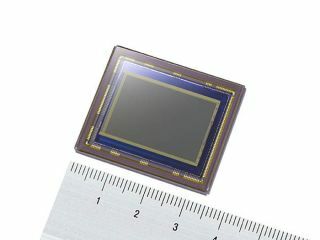 While it may not pack in as many megapixels as the Canon EOS-1DS digital SLR camera we saw yesterday, Sony's latest CMOS image sensor for next-generation digital cameras beats the competition in other important respects. The IMX021 is available now to Japanese camera manufacturers interested in taking advantage of its killer combination of 12.47 megapixels plus the ability to shoot 10.39 full-size frames per second. That's double the speed at which the Canon can lay down images, although quite what 0.39 of a frame looks like is anyone's guess. Other technical specs that are sure to matter to those who need to know include the facts that the chip is an APS-C size module with a diagonal measurement of 28.4mm and that noise-reduction technology is in place to reduce image degradation during analogue processing. Expect to see it in digital SLRs from early next year.